Andalusia is nestled on the southern tip of Spain’s Iberian Peninsula, across the water from Morocco. It derives its name from its close proximity to North Africa. Andalusia means ‘Muslim Iberia’ in Arabic. The area’s strategic location with coastlines on both the Atlantic and Mediterranean seas and easy access to the African continent means it has been fought over for millennia and stories about its inhabitants have filled the pages of novels for centuries. Homer’s tales of the waring Phoenicians and Carthaginians, Plato’s philosophical musings of the Greeks and Romans, and even Shakespeare’s dramas about the Vandals, Goths and Moors were all set in Andalusia. Today, the region still dominates Spanish culture. 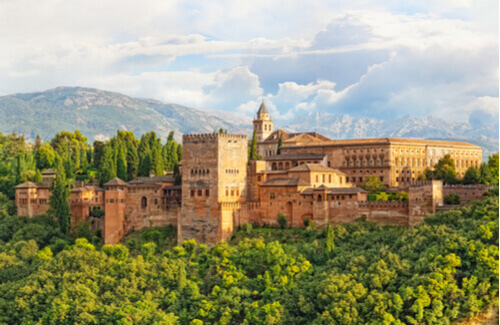 It is Andalusia that was originally home to the Flamenco dancer, the bullfight and the Moorish architecture so commonly thought of as traditionally Spanish. But what makes the region a favourite for so many, is the traditional culture that continues to thrive. Small villages dot the Sierra Nevada mountains, accessed only by long winding narrow pathways, cut into the hills centuries ago. Whitewashed homes sparkle in the bright sunlight and reflect off the orange, terracotta tiled roofs. As the sun lowers, village squares which traditionally surrounded an old well or water fountain, are transformed into public dining rooms. The smell of roasting fish and garlic wafts along the narrow lanes, mingling with the sound of happy chatter and clinking wine glasses. Men can be seen riding the famous, grey Andalusian horses and the local flamenco music is performed in cafes, bars or just on the street. With weekly markets that roam from village to village and sell fresh tomatoes, the morning’s catch or, garments to keep the Mediterranean sun at bay, it feels as if little has changed for centuries. Andalusia is home to not only some of Spain’s most historic towns but some of the most beautiful. Granada is one example of the blurred line between Africa and Europe. 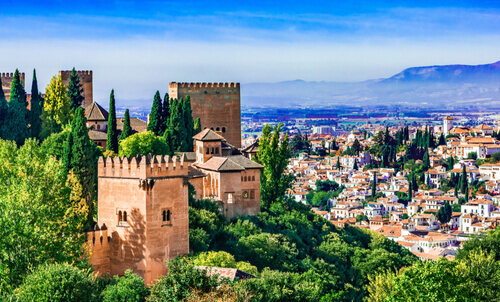 The city’s Alhambra – an Arabic citadel – is an excellent example of this. The Islamic-style architecture has been standing, in some form, since the 11th century when it was built as a walled city. By the 13th century the Islamic King, Mohammed I, took up royal residency before the Catholic Monarchs took over the palace in the 15th century. 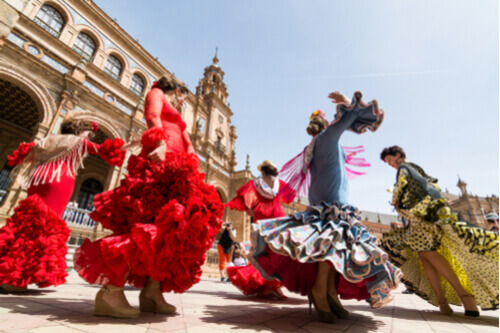 Seville is another Andalusian city that has roots linked to North Africa as seen through its architecture and cuisine. But it is flamenco for which Seville is truly famous. 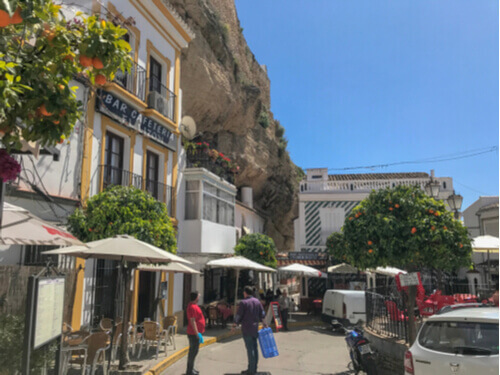 Originating as an expression of oppression by the region’s gypsy population, this area is the birthplace of the guitar, first designed for use in flamenco music. Today, the town is still the world capital of flamenco. Try Casa Del Flamenco for an authentic flamenco experience in its original home.